Peter was an excellent worker. He had developed a reputation as a tough nut with a soft heart. He was an advocate for people with a disability and his job was to improve the lives of people with a disability through systemic change. It is a role that Peter took very seriously. Over nearly three decades Peter had been fighting the good fight. Three years ago Peter accepted a job with a prominent Government organisation. It was Peter’s job to influence change so that inclusion of people with a disability happened. As was his way, Peter tackled this new role in the only way that he knew, head on and with gusto. He began to kick a few goals. His direct manager was concerned because the more goals that he kicked the more money it was costing the organisation. His manager wanted him to foster incremental change. Peter was having none of this. He told his manager that people with a disability had been fed incremental change for years and that was the reason Australia ranked near the bottom in the world in terms of support and financial outlay for people with a disability. Of course Peter’s boss did not use physical violence. She used conniving and malicious psychological abuse. She didn’t use verbal abuse but she would drop mean and subtle comments that aimed to undermine and underpin Peter’s self-esteem and confidence. She would suggest that Peter was, “Not a good fit” for the organisation. She would undermine his ability to complete tasks by deliberately not replying to emails and deliberately delaying approval of processes that were crucial for the completion of projects. When projects were behind schedule she would refuse to accept that her conduct had contributed to delays and use Peter as a scapegoat. She would undermine Peter by questioning his skills and when projects could not be completed she would say, “We employed you for your qualifications in project management, it’s disappointing”. In this way she would frequently admonish Peter, even though it was her conniving and calculated delaying tactics that were responsible for much of the problems. Peter also had a disability. Peter’s disability impacted on his communication. For Peter to work effectively he relied a lot on text based communication. Email and text chat software enabled Peter to carry out his duties in the same way as others. Rather than talk on the phone Peter meets people individually online through text chat software or completes tasks through email exchange. Howevever, for these strategies to be effective Peter’s workmates needed to embrace them. Some did and this made Peter’s life easier in the workplace. Others, however, were stuck in their ways. They refused to use text chat based technologies and worse many simply ignored emails. Often several emails at a time. This made it very difficult for Peter to complete several important projects. Peter raised these difficulties with his manager. He asked his manager to address the problem. He explained that it simply was not professional to not respond to emails. He also explained that when colleagues refused to reply to emails or make simple adjustments such as using text chat strategies that this not only made it difficult for Peter to complete projects but that it was also a form of indirect discrimination. This, explained Peter, was in breach of the Disability Discrimination Act. Rather then assist Peter by addressing the unprofessional and unethical behaviour of colleagues Peter’s manager blamed him. She told him he was making excuses and that he needed to diversify his communication. No matter how hard Peter argued his case his manager deflected the issue back to him. The behaviour of his colleagues went unaddressed. And then when projects were unavoidably held up she would call Peter in for disciplinary meetings. At these meetings Peter did not take a back step. He would argue his case. His manager would document the outcome of these meetings and not acknowledge in these documents the arguments put forward by Peter. This abuse took place over two years and got as bad as the manager actually spying on Peter’s private Facebook. But it was the final straw. The relentless bullying and calculated psychological abuse had taken its toll. Peter broke down. The manager came round to Peter’s cubicle. Without explanation she handed Peter an envelope and told him that what was within was going to upset him and left. The letter was an official disciplinary letter requesting a meeting at which Peter could answer allegations made towards him. For Peter this was the last straw. Not only had she psychologically abused him over a two year period but she had been spying on him as well! Peter read the letter and was incensed. After two years of systemic and targeted lateral bullying, that had undermined not only his ability but his self-belief, he had had enough. He went straight to human resources to make an official complaint for bullying and victimisation. As he was telling the human resources representative his story he broke down into body shaking sobs. He cried uncontrollably for the next three hours. The human resources representative recognised that Peter was in a bad way. She immediately organised counselling for him to occur that same day. Peter called his wife and closest friends for support. It was the beginning of the end. The final straw happened on a Friday. For the whole of the weekend Peter sobbed and cried. He thought that his career was over. His self worth was shot. He began to question his ability. Being nearly 50 Peter wondered if his career was over. He was frightened for himself and his family. How would they pay the mortgage or the bills? What about car repayments? His family was going to suffer and all because of him. In the darkest moments Peter wondered if it would be eaiser if he was just dead. Over the next three weeks Peter struggled. He cried everyday. Sometimes just queitly and others times with body wracking sobs. The mornings were the worst. It was like waking to the same thing everyday. The problems hadnt gone away. Everything that he and his wife had worked for was at risk. 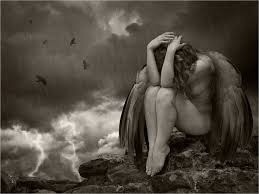 In between sadness there was anger. Peter knew what had happened to him was not fair. He complained to his work for bullying and victimisation. He put in a claim to Workcover. He documented everything that had happened to him. His Workcover claim was rejected. His work deliberately stalled on the bullying complaint, even going as far as to claim Peter had never made an official complaint even though Peter had sent several complaints and had had at least three meetings with Human Resources representatives. No doubt his work thought and hoped that he would just go away. The road back was tough. It involved hopsiitilisation. It involved home treatment and couselling. It involved self reflection and trying to take control. It involved reaching out and seeking help from friends and colleagues alike. It involved medication when Peter realised that he simply could not cope on will power alone. In total Peter was off work for two months. In that time he not only fought his way back to health, fought the system but also found himself a new job. Even though he had a new job he was determined to ensure that his workplace were held accountable for what they had done. Peter returned to work to serve out two weeks notice as required under his contract. He called his work to let them know he was returning. His workplace showed no great concern for his well being. They didn’t welcome him back with any show of human emotion. Rather they asked that he ensure he had all the relevant paper work confirming that he was fit to work. Half an hour after this meeting Peter received an email from his manager that simply said – “SEE ME IN MY OFFICE” Dutifully Peter went to his managers office. She told him that he could go home that very day. She said that they wanted to make sure he was fit and healthy for his new job. She said that for the next two weeks they would pay him in full. Peter said, “Thats fine ill just email my colleagues and networks to thank them and say farewell.”and got up and left. Peter’s first task was to email his advisory committee. He thanked them and expressed how much he had enjoyed working with them. He confessed that his leaving had not been in pleasent circumstances and bid them good luck. Peter went to lunch and when he returned his email had been deactivated denying him the opportunity to farewell the rest of his colleagues and networks. He got up and left without so much as a goodbye. As it stands Peter is now happily employed in his new job. He has not given up on the bullying complaint to his old workplace. They, of course, are being as difficult as possible. They have threatened him with legal action should he say anything that they consider deafaming of them. Accountability and basic humanity are not part of their vocabulary. Everyday many people are bullied in the workplace and experience much the same and even worse than what Peter experienced. A recent survey from PriceWaterhouseCooper (PWC) found that managers paid lipservice to workplace mental health issues such as bullying. Less than half thought it was a problem and 43% stated they thought that it did not warrant their time, energy or investment. This is despite the fact that workplace mental health issues through abseenteeism and associated workcover complaints are costing Australia $10.9 billion every year. But PWC also present data that suggests that for everydollar that a workplace invests in workplace mental health, including bullying, it gets back $2.30. This is more than a 100% return. Yet still too many workplaces sweep mental health in the workplace under the carpet. Its a no brainer. 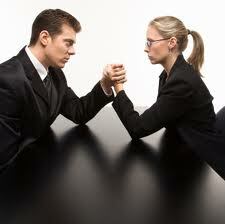 Its simply good business to knock workplace mental health problems such as bullying on the head. 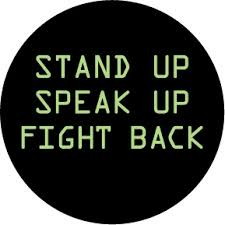 Dont let what happened to Peter happen to anyone in your workplace, take action. For more information go to www.headsup.org.au. When I post stuff about disability, people who don’t know me will ask if I have a disability. People who know me don’t ask, but probably wonder quietly. I care for someone with a disability. And I mean that in the sense of take care of, not care about. Even “take care of” is patronising, but I don’t know another phrase that would work. (Once again not critical for the moment). She also managed pretty well, although that fluctuated, over the years. The time came when, after twenty years working, mostly full time, and as a single parent, I had to stop. Many little things, but the last straw was the local bus. It ran from near her school to near our house. It was wheelchair accessible, at least about half of them were. Problem was, at the times she needed them, the accessible ones were often full. A few walking passengers could squeeze on, but not someone in a wheelchair. So she would wait, and wait, and wait, accessible and full, inaccessible, and etc. An hour, maybe more. In the rain, in the cold, her broken spine freezing and sending muscles into spasm. She tried taxis, but they would not necessarily show up, and the outcome was often the same. So I had to stop working. It seemed like the least I could do, and it would only be for a bit, till she finished her VCE, and then we would work out a plan, and things would return to normal. Thing is, all those years, we had been buying our way out of the disability nightmare. Need something that has a waiting list of twelve months? Buy it. No surgical solution that will prevent her being bed bound for the rest of her life? Fly to Hong Kong to consult with a surgeon who can provide new insights to the team here. And so on. Then the rods holding her spine together snapped. The waiting list for surgery was long, but worse than that, the prospects for rehabilitation were zero. A wait of at least eight months, during which she would need to remain in hospital, doing nothing, and getting worse, and then no promises. And so on. Twelve months for this, fifteen for that. We fundraised for the wheelchair she needed, and have been waiting five months for an appointment for an OT to fit the cushion and backrest. Got the OT, another 3 weeks for the supplier to even make an appointment to trial them. So during this time I became disabled. For the first time. A narcoleptic requires routine. Activity. Daylight. Sleep patterns. Exercise. Mental and social stimulation. This narcoleptic was at home on the couch with a person more disabled than she ever was, and who needed the opposite. Sleep when pain permitted. Someone to provide assistance day or night. Quiet. Often darkness. So I became more disabled than I need to be. We both did. And this is what I hear echoed by everyone who experiences disability in this country. The disability itself is what it is. The inability to access basic services, like a bus, or rehab, or an education, disables even more. Lives put on hold for months, years, decades while one thing after another creates further barriers. There was a disability discrimination commissioner. His job was to hear complaints from people being discriminated against because of their disability. People who, for example, could not get on a bus and go to school. Could not get their university to do the things they said, like providing materials electronically. The outcomes of such complaints are not always great, the Act does not provide a huge amount of protection, and a lot of wiggle room for the community to say “that’s too hard, I can’t do it” and leave people with a disability behind. So it was really important to have a commissioner who actually understood that. While it may seem a small thing to most people that a particular bus is only accessible half the time, for the people affected it can mean the difference between being able to get to school and not. Come 1 July there will be no dedicated disability discrimination commissioner, and no commissioner with a disability. There was a forum on the ABC website devoted to discussing disability issues. Sharing information, discussing relevant topics. For the first time, a significant media outlet covered disability at all. Come 1 July, that’s gone too. And so on. And so on. Do I have a disability? No, and yes. I was watching Sunday on Channel 7 hosted by the delightful Chris Bath. The less delightful Mike Willesee presented a story that centred on Clive Palmer. Palmer is, of course, a mining magnate and self-appointed leader of the Palmer United Party. Willesee was to have met Palmer in Boston with the Palmer United senate elect team. Palmer didn’t show citing at first that his planes radar was broken, then its toilet and then both. Meanwhile an incensed Willessee, angry for having been stood up, set about making a mockery of the Palmer United Senate Team. Eventually Willessee caught Palmer in Australia and the rest of this shoddy attempt at journalism involved following Palmer around a dinosaur park, looking at vintage cars and eating fine food while embarrassing Palmer as much as was humanely possible. While the journalism was shoddy one could not help but be petrified that Palmer and his senate elect team, come July, were about to be major players in the passing of legislation that would be critical for the future of Australia. It was scary stuff. It is the Palmer United team that hold the balance of power in the senate. So much, in fact, that virtually nothing can pass without them. Thankfully they are opposed to most of the Abbott Government budget measures and intend to block them. But what of other crucial legislation? What about legislation that impacts on people with a disability. How much can we rely on them to support people with a disability? Palmer is a business man and everything is likely to be about what can benefit his business. With the NDIS at the cross roads and the future funding of many key disability organisations at stake; how much can we rely on the Palmer United Party and his senators elect to do the right thing? It is very worrying. Right now our Disability Peaks are under threat. The rumour is, and one I have yet to fully confirm, that all Disability Peaks have been given a six month extended contract. At the end of this the funding for our peaks will be tendered out. The Peaks are the organisations that are funded to advocate for people with a disability. These are organisations like Australian Federation of Disability Organisations, Physical Disability Australia, Deafness Forum and Deaf Australia – to name a few. They are not to be confused with organisations like Deaf Societies or Deaf Children Australia, though these organisations also have their funding under threat with the introduction of the NDIS. Service providers are faced with the challenge of revamping their business model to make themselves viable options under the NDIS. It is the Disability Peaks that would seem most under threat. This is not the first time they have been under threat. Back when Howard was in power the Peaks also had a six month contract extension while their future was reviewed. In the end their future was resolved with a three year contract extension. This was not without controversy. Old timers will remember that Peter Costello, Federal Treasurer at that time, tried to make it a condition of their funding that peaks could not speak out against the Government. Thankfully he did not get his way. Bill Shorten, during his time as the Parliamentary Secretary for Disability, also was known to be critical of Disability Peaks. Shorten was critical at the number of Peaks that existed and the fact that they often provided conflicting messages to the Government. Shorten advised that the Peaks needed to give a consistent message to the Government because if they could not agree on a way forward how on earth was the Government supposed to develop policy to meet their needs. In the deafness sector Deaf Australia and Deafness Forum have often been at logger heads. They seem to be in a constant battle for territory. So bad did the conflict between them become that Shorten, shortly before he moved to the finance portfolio, had to organise conflict resolution between the two organisations. This author was part of the conflict resolution and not a lot of ground was given by either organisation. More recently Deafness Forum were critical of Deaf Australia because Deaf Australia had the courage to question the Abbott Government about the future of the Auslan for Employment Program. A rumour originated from a prominent Disability Employment Service that the schemes funding was to be slashed by half. In a media release Deaf Australia asked for answers as to whether this rumour was true, among other things. Deafness Forum took the extraordinary step of publicly lambasting Deaf Australia for the media release. While they did not name Deaf Australia it was clear that the ‘prominent deafness organisation’ that they referred to as distributing misleading and scare mongering information was Deaf Australia. Of course Deaf Australia had not mislead nor scare mongered, they just simply asked in an assertive way for the Government to clarify the future of the Auslan for Employment Program and other disability programs. Mitch Fifield, Assistant Minister for the Department of Social Services and responsible for disability, responded soon after and confirmed the Government had no intention of cutting the funding. This was a great outcome for Deaf Australia but Deafness Forum’s ill-advised and poorly disguised attack on Deaf Australia showed once again the divide between the two organisations. Why Deafness Forum chose to attack Deaf Australia as they did is any ones guess. It certainly was not necessary. What it did show was the danger of having two Deafness Peaks constantly striving to curry favour with the Government. It paints a picture of a divided sector and provides the Government with further evidence that the two Peaks cannot work effectively together. Indeed it allows the Government to argue that having two Peaks is ineffective and that having one united organisation would be more effective. Let’s face it apart from the cultural and community focus which is, or should be, the sole domain of Deaf Australia the two peaks largely advocate for the same things. For example they lobby for improved employment and education access, better early intervention services, better access to technology and support, better access to captioning and for better communication support, be it through interpreting or captioning. Sure one focuses on the needs of the Deaf Community and the other has a focus which is more medical but the two organisations largely duplicate each other. Now there are many people who are pro Deaf Australia and many who are pro Deafness Forum. There are many who are also pro-amalgamation. Meanwhile the Government looks on and sees two organisations that largely are doing the same things and asks itself why they are funding two Deaf Peak organisations. We all understand there are significant differences between what Deafness Forum represent and what Deaf Australia represent but many of us also are aware that the two organisations largely duplicate each other. When the Government sees the two organisations at odds with each other it is within its rights to ask whether the tax payer’s money can be better used to fund ONE Deaf Peak rather than two. It would seem that all Disability Peaks are currently unsure of their future. The rumour is that at the end of the current six month funding the Government aims to revamp how our Peaks are funded. The rumour is that the Government is about to ask organisations to tender to provide the advocacy services that the Peaks currently are providing. This could well spell the end of some Peaks because duplication is rife. The fact that Peaks are often warring with each other and sending conflicting messages does not help their cause. This includes both Deafness Forum and Deaf Australia. Now may well be the time when Deafness Forum and Deaf Australia make an honest attempt to work out how they can organise themselves under one roof. It’s been tried before and it failed but in the current funding climate it may be wise for them to try again, if they have not already. The development of a business plan that shows how they can work as one unified Peak is essential even if, in the end, this plan is not required. The two Peaks need a coherent and influential argument that can show a unified front. If they cannot develop a unified approach and business plan that all political parties can understand. If they cannot, god help us if it is the inexperienced Palmer United Party, its senators and mad leader that are pulling the strings. I was nominated for the ER Noble award. The award was to be announced at a slap bang affair hosted by the Australian Sign language Association (Vic) and DeafVictoria. I was very honoured to be recognised for my work and extremely humbled. I also felt a little hypocritical because I had always said that I would never accept such awards. I have always felt that everyone from top to bottom are all deserving. I have never felt quite right about these types of awards because I make a living out of what I do and that is enough for me. I am far more in awe of those that just give their time and effort for the pure love of it. Before going on I should thank the person who nominated me. I know who it was and I am quite chuffed that this person nominated me. Why? Because this person gives all of themselves unselfishly to the Deaf community for many causes. This made it all the more worthwhile. Winning didn’t matter. In the end I didn’t win but the recognition was enough in itself. Anyway at the awards I was sitting near the front. The ER Noble Award was the last of the night. The award is given to an organisation or individual that works hard, advocates for and inspires people within the Deaf community. I was thinking to myself. “God I hope I don’t win, I don’t have a speech prepared.” I glanced up at the stage and saw the steps and then I began to worry that if my name was called, and being the clumsy oaf that I am, that I would trip up the steps and go flying. I had a vivid vision of tumbling into the two MCs as my foot caught the last step and sending all and sundry over the edge of the stage. It is such a Gary thing to do you know. In the end I didn’t win and I was spared any embarrassment, real or imagined. Congratulations to Medina Sumovic who was a very worthy winner indeed. But if I had won I had a speech kind of thought out. I had decided that it was time to recognise the people that generally do not have their names up in lights. 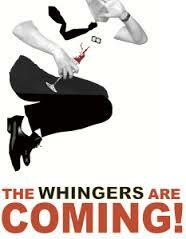 These are the people that are known as the whingers. These are people that always have something to say whether it be about education, employment or simply access to the cinema and entertainment. They are on Facebook, they attend forums or they are forever voicing their concerns and opinions at Deaf community gatherings. Paid advocates are often cynical of these people. They reckon that these people should stop whinging and do something constructive. Indeed whinging is often frowned upon. Our esteemed Prime Minister went public recently stating that Australia needed people with vision not complainers. Said the Prime Minister, “Whether it’s (opposition leader) Bill Shorten, whether it’s the Greens, whether it’s others – it’s one long chorus of complaint, The man with the plan has an extraordinary advantage over the person who has just got the complaint.”Of course the Prime Minister would say that. He has a budget and an ideology that he wants to implement and the “complainers” are holding him to account. And it is here where the complainers and whingers are of vital importance. They ask the questions. They tell us what riles them. They tell us what they want. They tell us what they see. They tell us what they are missing out on. More importantly they tell us where the system is letting them down. It doesn’t matter if they simply say, “I want more captioning on television” It doesn’t matter if they simply say, “ My daughters schools provides crap support and I want more.” It doesn’t matter if they criticise our advocacy peaks as being ineffective and ask to be listened to more. When they whinge the smart advocate listens. Why? Because it is these people who are taking the time to whinge that we are representing. The smart advocate takes the time to hear them or read what they have to say. The attentive advocate picks up common themes in the complaints and discussions that are happening and uses them in their advocacy work. The effective advocate NEEDS people to whinge about the things they want improved or see as unfair. Because it is these complaints that an advocate needs to be able to convince the powers that be that change is needed. For example, university students are currently complaining all over the country about the de-regulation of university fees. The de-regulation of fees is likely to see course fees rise dramatically making university education unaffordable to all but the richest people in the country. If they did not complain what evidence would Labor and the Greens have to fight the cause? They would have none. The Liberals would simply say that no one supports them. Then Liberals would claim Labor and the Greens have no mandate. But because people around the country are complaining and whinging about what they see as the Liberal’s unfair budget Labor and the Greens have a powerful argument to hold the Liberal Government to account. And because of this the Liberals are already hinting that they are willing to compromise on some of the more harsh aspects of the budget. As advocates we cannot operate without the whingers. Most people felt that CaptiView captioning in the cinemas was crap. If no one complained about it where would we be? If there were no comments on the Action on Cinema Access Facebook page, or no one had taken the time to tell the cinemas of their negative experience, or no one had told the Government, or Phillip Debs had never made a video showing his negative experience of CaptiView – where would we be? Would cinemas have listened to the Deaf Cinema Club representatives when they argued for open captioned sessions? Would the cinemas have bothered to investigate whether open captioning was possible on digital technology if the demand for it could not be demonstrated? Would the people that set up the Deaf Cinema Club have been motivated to volunteer their time to make it happen? The answer is absolutely not! Whether its access to education, entertainment, technology or employment without the voice of the whingers we would have no cause. So to the whingers I salute you. Because without your voice we are nothing.